NO  You’re not going to make money blogging. Twitter Marketing: 10 Tips for Getting Retweeted. Twitter is a highly effective marketing tool, with the potential to generate sales, build your brand and increase your customer base. How To Get Google To Love Your Blog. Producing great content constantly is like wrestling a bear for 12 rounds without a bell. Earning a living writing requires most of us to churn out content from daybreak until after Jay Leno’s done counting sheep, and it’s really easy to lose the freshness that brought readers to our blog in the first place. So, how can you keep on producing stuff people actually want to read? How to Convert More Blog Visitors into Subscribers. 10 Words Every Successful Blogger Needs to Know. Whether you are blogging for profit, publicity, or pleasure, the basic building blocks of success are the same. Here are ten essential words you should consider constantly as a blogger, as they reflect the values you need in order to succeed. 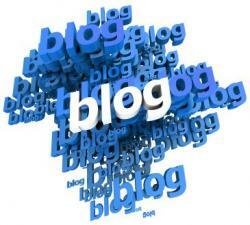 Tips for beginners Blogging Boost SEO ROI.